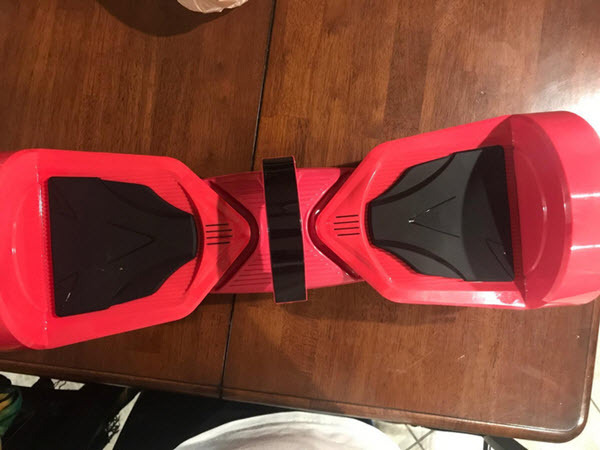 There will always be certain hoverboards that tower over the competition within the same price range. Or at least, you pay an extra $50-$80 and what you take home is so much more than had you gone for something a little cheaper. 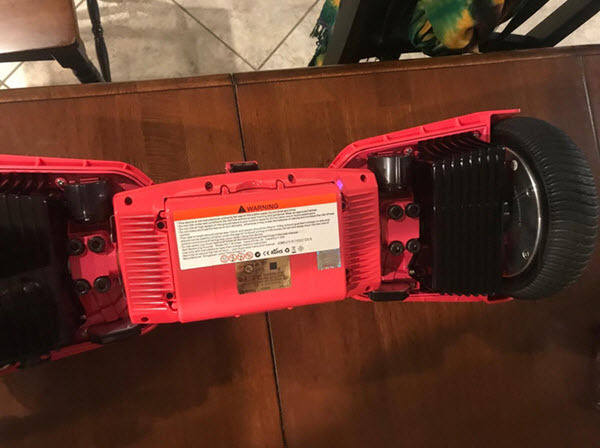 In the case of the LEVIT8ION Ultra self balancing scooter, what you’re looking at is a prime example of a board that promises a huge package of extras for a tiny extra payment. Coming in closer to the $300, it takes a step up from entry-level in terms of price. But when you check out the list of features and unique attributes, you start to wonder when the LEVIT8ION is actually the bargain of a lifetime. If it can live up to the manufacturer’s hype, it could very well be exactly that! Could the LEVIT8ION be the single best board on the market for around $300? A fair few reviewers seem to think so, but read on for full disclosure of all the info you need to know. 1) As always, it’s safety that needs to be considered above and beyond everything else. 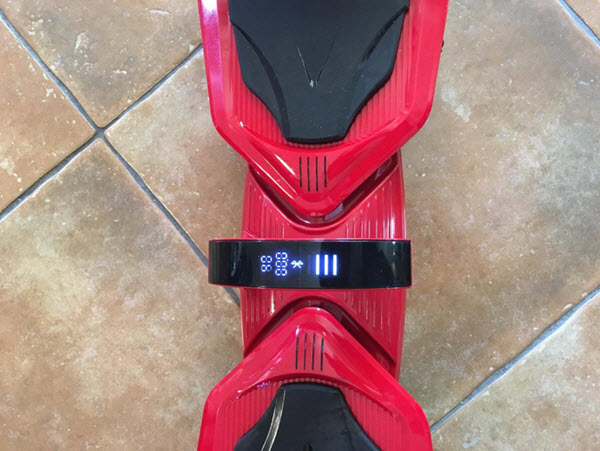 In the case of the LEVIT8ION Hoverboard, the deck has passed all 159 required safety tests with flying colors and been given the official legislative stamp of approval. 2) Sticking with the battery, the fact that it comes from Samsung says all the needs to be said for its quality and safety. But what’s even better is that it’s removable. Buy an extra battery, keep it charged and you’ve got DOUBLE the range to play with – simply awesome. 3) The chassis of the board is made from the finest aircraft-grade aluminum out there. Which in turn means that the LEVIT8ION is as close to indestructible as it gets. Not to mention, lightweight enough for ease of portability and solid performance. 4) The solid rubber tires measure in at 7.5-inches and have supposedly been tested on a wider variety of surfaces. Combined with a state-of-the-art 400-W motor, the manufacturer proudly states that the LEVIT8ION can deal with rough terrain and steep slopes with ease. 5) Given optimum conditions, the LEVIT8ION boasts a top speed of 15km/h and is said to have an impressive range of up to 20 miles. Add an extra battery into the mix, and you’re looking at up to 40 miles with each trip – a big step ahead of the competition. 6) Not only does the grab handle make for easy transportation, but it also features a seriously cool LCD display. 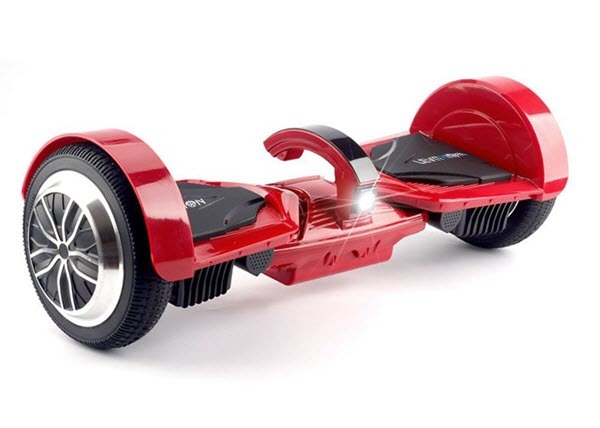 Keep an eye on your speed and other readings as you cruise around on your board. 7) Then there’s the KOOWHEEL PLUS APP, which is by far one of the best mobile apps of its kind for board riders. It’s pretty much like having an advanced trip computer in the palm of your hand with full GPS and so much more besides. 8) Looking to take your tunes on the go? The LEVIT8ION ups the ante with DUAL Bluetooth speakers for extra power and quality. 9) Last up; the LEVIT8ION is marketed as a super-stable and easy to use board that’s ideal for beginners while being more than powerful enough for pros. I try to be the kind of neutral party that doesn’t read too much into initial looks. After all, it’s performance that counts when reviving boards. With the LEVIT8ION Ultra scooter though, it was impossible not to be impressed by its overall design. The color, the shape, the LCD screen on the carry handle and so on – all the kinds of things that make you want to ride it instantly! I honestly couldn’t wait to put it to the test. As expected, the LEVIT8ION was light enough to carry with ease but heavy enough to give a feeling of quality. It took about two hours to get it fully juiced-up, after which I headed out to put it through its paces. Stepping on the LEVIT8ION, I can say for sure this doesn’t feel like a mid-range board. It has the stability of a board that I’d expect to pay wat more than this for. It might not be bursting at the seams with ride features and modes, but in terms of stability, it really was as good as it gets. Of course, I couldn’t help but fall for (not literally!) that cute little LCD readout in the handle too – a tiny addition that makes such a difference. In terms of performance, you can tell this thing has a motor that packs a punch. The top speed isn’t the fastest – cruising at about 10km/h is about the norm – but it never seems to falter or struggle. From slopes to rough patches of dirt and grass etc., it just goes and goes. Of course, solid rubber tires and 7.5-inch wheels mean it can get a bit bumpy here and there. But then again, this isn’t an off-road scooter, so hardly a huge complaint. I got a solid 16 miles out of it range-wise with two or three test runs, which was more than enough. Those two Bluetooth speakers also stand out as a neat little extra that’s more than worth the extra cost. And while the use of just one LED on the front might seem a little frugal, that thing is seriously bright! I loved the app, loved the riding experience and loved almost everything about it…aside from the unfortunate lack of waterproofing. 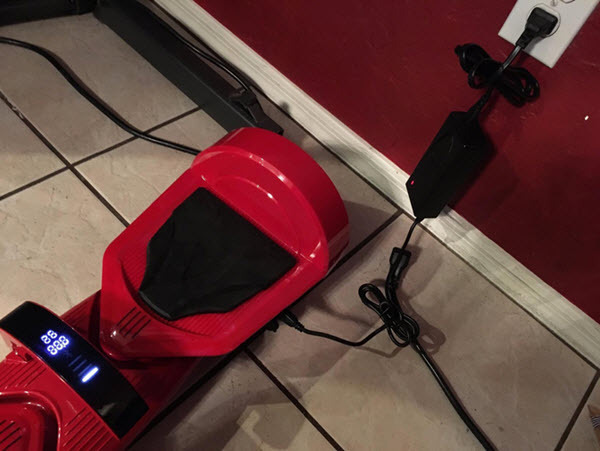 Bringing it all together, if you can stretch to the slightly higher cost of the LEVIT8ION Ultra self balancing scooter, my advice would be to do exactly that! It might not be perfect, but for this kind of price, it’s hard to do better. In fact, if the LEVIT8ION were only waterproof, it’d probably make it into the top-five best buys of the entire year!